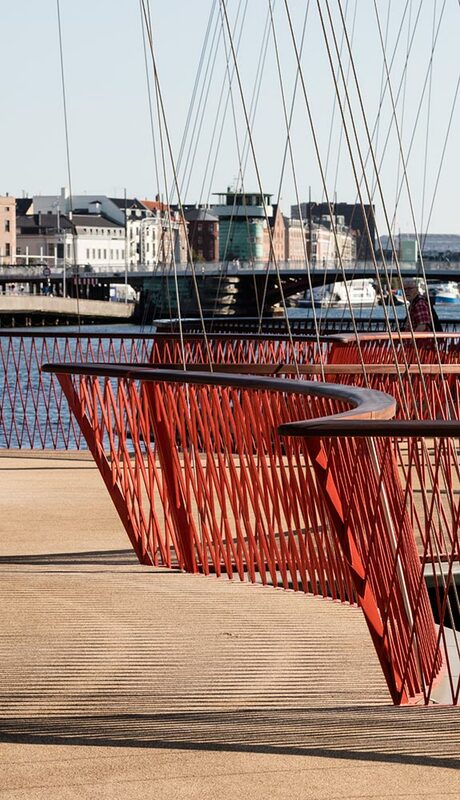 Copenhagen is well known for its immersive and engaging network of canals, waterfront boardwalks and, as you see here, pedestrian bridges. 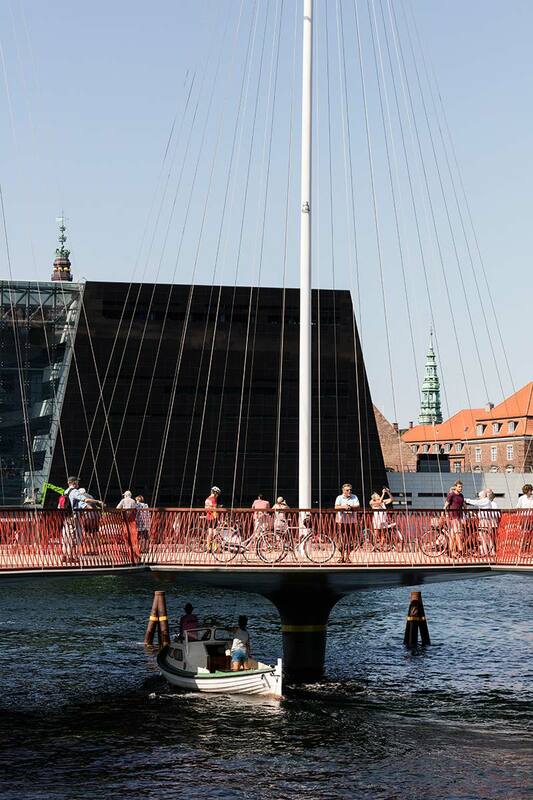 This unique example – designed by famous Danish-Icelandic artist Olafur Eliasson – takes design cues from surrounding architecture mixed with a formal dedication to the local boating culture. 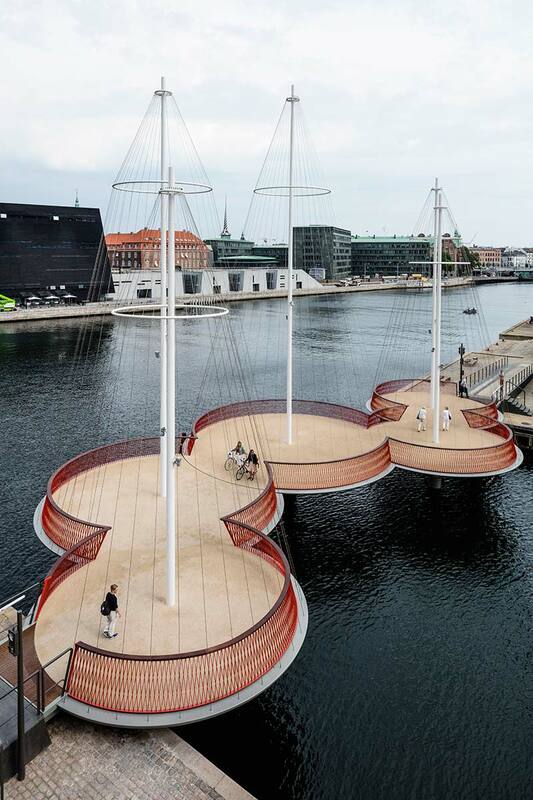 It’s called the Cirkelbroen, and it aims to bring city dwellers closer to the water that is such a large part of the place they call home. This bridge opened in August 2015 to 7,000 onlookers eager to take their turn across. They were greeted with five intersecting circular platforms of varying size as the bridge dances over the narrow strip of water below. Tall steel spires add height and scale that matches that of nearby structures. 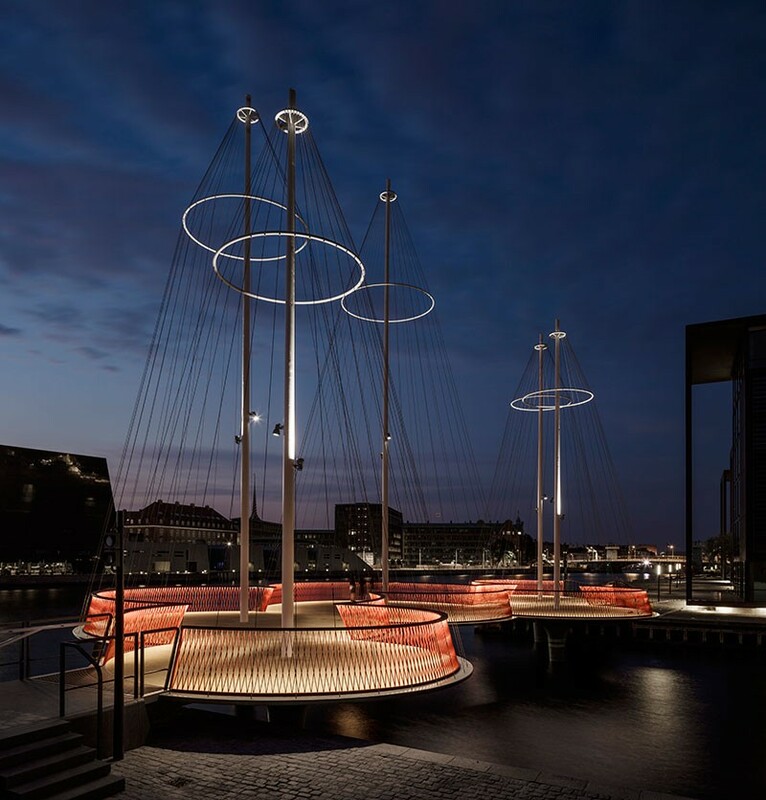 Not to mention their striking resemblance to the masts of a sailboat – a sight Copenhagen locals are quite familiar with. 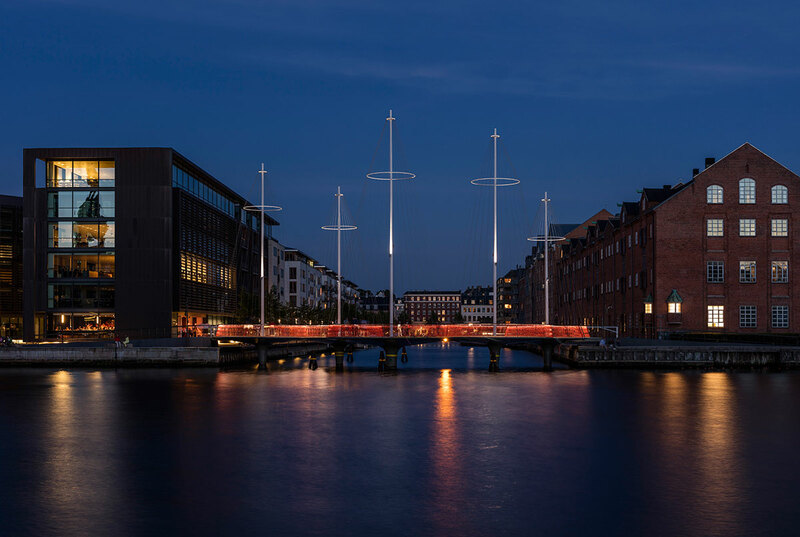 Eliasson hopes the structure will be a part of Copenhagen’s ever-changing waterfront for many years to come. I think it’s safe to say the locals agree.